Summary: Driven from their home to protect their lives, Cassandra and her family retreat to an island protected by a land treaty for aboriginal people. Going there isn’t their first choice or the easiest because the island is protected by a supernatural barrier, but they come to adjust to their new surroundings. While a haven for the aboriginals who are being hunted, this protection comes at a price for the spirit world and the supernaturals trapped on the island. Though she doesn’t know it yet, Cassandra holds the key to righting the wrongs of the past but doing so will mean putting those she loves most in danger. Review: This is not the post-apocalyptic tale it is presented as. While Cassandra, her brother Paul, and her father live in a world with chips in their arms and an impending plague that threatens the lives of everyone except those with aboriginal blood, the story is really about their move from the Corridor to the island. The only treatment for the plague is aboriginal blood, and obtaining it means draining the ‘donors’ dry, putting all three of them at risk with their aboriginal roots. The dystopia part plays a very small role in the book, and if you put that expectation aside, it’s quite an enjoyable read. Cassandra is a sixteen year-old girl coming into her own. Both she and her twin brother experience different connections with the spirit world, but Paul is haunted by the darker side of it all, seeing visions of the future he and Cassandra have trouble understanding until they come to pass. Moving to the island with the other aboriginal people in an effort to escape being used for their blood involves giving up their way of life and opportunities to embrace a life their mother was trying to escape, but they have no alternative choices. Except while the island has its’ challenges, and no one seems willing to accept them at first, the move ends up connecting Cassandra and Paul with their roots, providing some explanations for the powers they have. Cassandra is trained as a healer by Madda, and finds more inner strength in herself than she ever knew she had. The supernatural beings on the island are drawn to her and her power, and ultimately it is only Cassandra who can free them from their prison. 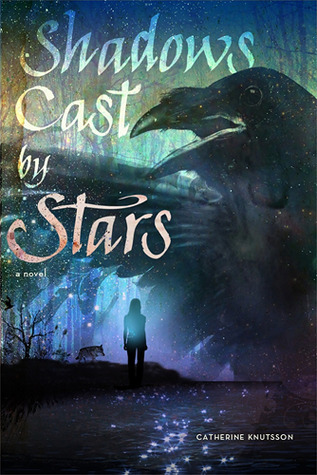 I can’t say that I always understood what was going on – when stories veer into the spirit world and the supernatural sometimes I have trouble keeping track of everything – but Catherine Knutsson’s writing is gorgeous. I happily lost myself in her descriptions of gardens and I felt as if I was right there with Cassandra in the stunning environment she found herself in. Knutsson has a talent for putting life into the simplest of tasks through depicting them as art and also for telling the truths of living. Cassandra’s story is one that takes time to develop, but it is worth it. Knutsson’s writing is to be savoured as she explores Native mythology while adding a touch of The Golden Compass by Philip Pullman and including deep, complex characters. I hope a sequel is in the works, because I would love to lose myself in another Knutsson story. “So I say: This is the story of the way things once were, and now are, and how they will be, for it there is one thing I’ve learned, it’s that we are not bound by the myths created for us. It’s time for my own myths, and those myths will take place in the land of ravens, the land left behind by time – the land of the Bix’iula. 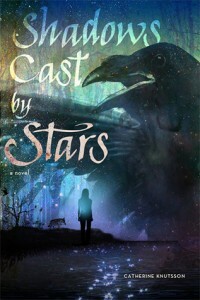 Shadows Cast by Stars by Catherine Knutsson is published by Atheneum Books for Young Readers, (2012).